St. Paul’s Hospital was situated on the hill overlooking Hemel Hempstead at the corner of Queensway and Allandale (formerly Queen Street and Redbourn Road) and opposite a church called St. Paul’s. The Hospital was known as “Hempstead House” when built in 1835 as the Poor Law Workhouse and included an Infirmary for aged, infirm or chronically sick and was run by Dacorum Board of Guardians. A hundred years later the Old Infirmary housed maternity beds as well as elderly patients. During World War 11 Great Ormond Street evacuated sick children to St. Paul’s. 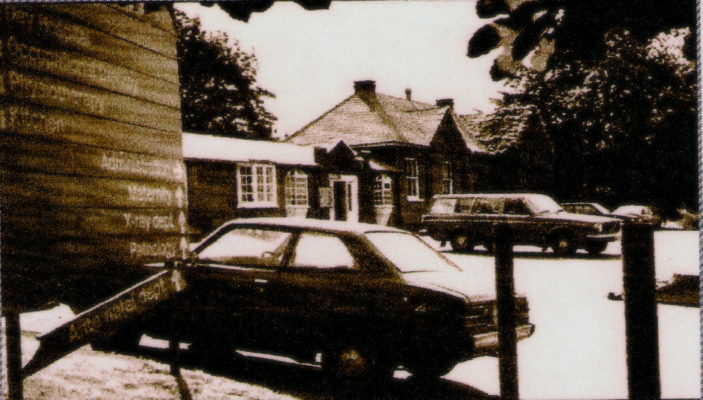 At that time geriatric, adult surgical and medical wards were built in long single-storey huts, connected to the older buildings by covered walkways. These newer wards were named after illustrious medical people, such as Nightingale, Fleming, Rutherford and Cavell, and were joined by a long corridor known as The Hall. There were other buildings such as a pathology laboratory, nurses’ accommodation and an administration block. 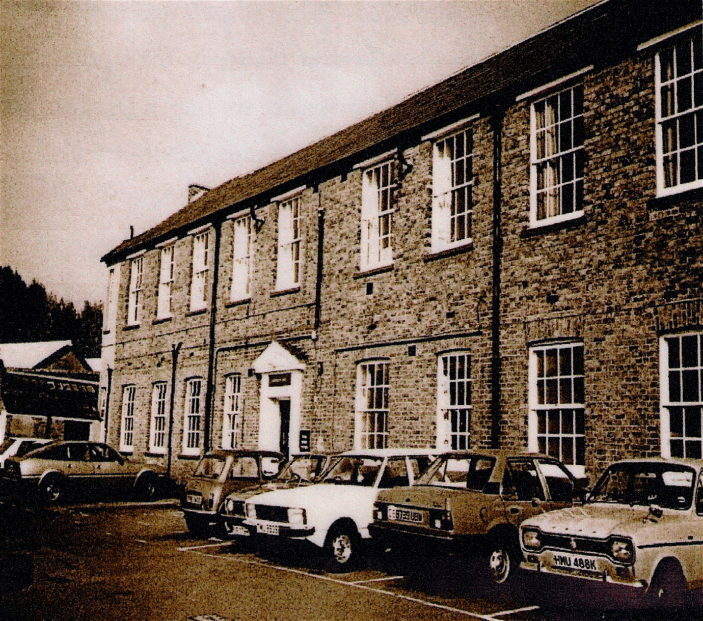 In 1948 the hospital became part of the National Heath Service, and over the following years the buildings and equipment became increasingly rundown and in need of modernisation. 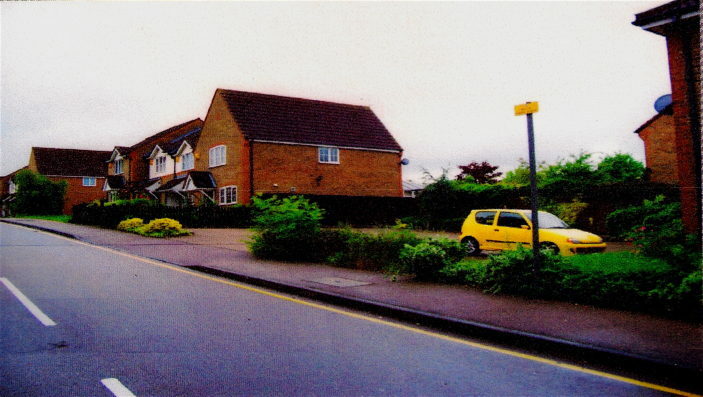 In the 1980’s services transferred to West Herts Hospital in the town centre and soon after St. Paul’s Hospital was demolished to make way for housing and streets named ‘Slippers Hill’, ‘Long Mimms’, ‘Little Mimms’, and ‘East Mimms’. The Maternity wing at St. Paul’s Hospital that I first knew in the 1960’s was housed in the original brick-built 2-storey workhouse building. The wards were situated at right angles to the connecting corridors, and to the sluice and bathrooms, offices, and waiting rooms. There was a labour ward and operating theatre, and a premature baby unit. The high-ceiling wards for new mothers each held about a dozen high, iron-framed beds. There were large sash windows, which were flung open wide at night whatever the weather, in my case high piled snow and freezing winds. The antenatal clinic was on the ground floor of the hospital. My first pregnancy was during the hard, snowy winter of 1962/63 and I was convinced someone had put the hospital at the top of the hill for a joke! We pregnant Mums had to struggle, stagger and slip our way up the hill for appointments, fling open the heavy old entrance door to the clinic and lean, breathing heavily, against the door post, watched sympathetically by other Mums-to-be who had already tottered in and collapsed onto the chairs in the waiting room. Came Delivery Day—I was deposited at the hospital at dead of night – husband despatched home for a good night’s sleep, as husbands were not allowed to be present at the birth. I was escorted to the ancient and cavernous bathroom with its centrally positioned huge, high-sided old enamel bath, where I was expected to clamber in and out unaided during the first stage of labour. Later I was left to myself for the remainder of the night in a draughty curtained area just off the corridor, as the labour ward was overflowing with more needy and urgent cases. The strong smell of fried bacon for breakfast was rather off putting at the time, but by 9 am my daughter was born. She was placed in a cot-on-wheels and covered with a pink blanket denoting she was a female. We spent ten days in Hospital. Visiting times, for husbands only, were strictly limited, but flowers and cards were permitted. We were quite well cared for and watched over by starched-uniformed nurses in their glass –sided office at the ward entrance. I remember we had a ferocious sister who announced that there were multitudes of germs just waiting to attack us, and we should knock them on the head by constant washing. Our babies were removed to a night nursery each evening and were presumably bottle fed during the night, so that we new Mums got undisturbed rest—Oh! What a shock we were in for on our return home! We did not get to bath the babies until the day before our discharge, so again it was learn-as-you-go once we arrived home! Over the years hundreds of babies must have been born at St. Paul’s and many other patients treated there. So it was with mixed feelings that we watched when the buildings of the Old Workhouse and Hospital were demolished. This page was added on 19/07/2011. I too was born at St Pauls in November 1966. My Mother told me that I was delivered to this world by a large friendly woman of Afro-Caribbean lineage who made my Mother feel in very safe hands. My parents moved back to Scotland after a couple of years. I am disapointed to find that the hospital was demolished for I always intended to return one day to the place of my birth. I was born in St Pauls during Feb 1962 and my brother followed during July 1964. Though we were only there for a few days before being brought up in London, then Dorset and Somerset before I moved to East London for 20+ years, I returned to Hemel to live in Sept 2004 and am still here whilst my brother is also in Herts ( East Barnet ) ! I found this interesting. I was born there in 1974 and I am putting a documentary together of my life so far…starting of course at the hospital. Fascinating to read this. I myself was born at St. Paul’s during the snowy winter of 62/63. My family moved away from Hemel when I was 3 years old and I have never been back. My Mother sadly passed away some years ago but I do remember her telling of snowy hills, open windows and ferocious sisters. Thank you so much for sharing these memories. I found this interesting, as not only was I born in St Pauls, but my mother worked there as a radiographer for a number of years. She used to take me and my brother (also born there) to work with her, and let us play in the darkroom while going about her tasks – I still have memories of this. She quit to take care of her growing family when I reached primary school age.